Tom and I spend the southern hemisphere’s summer in New Zealand, my home country, and the northern hemisphere’s summer in England, Tom’s home country. We follow the summer because it is also the ecology season when we get most work. The flight can be pretty long when you have to travel half-way around the globe, so we try to find an adventure midway to break up the journey. It means that we get to explore some amazing places, too! 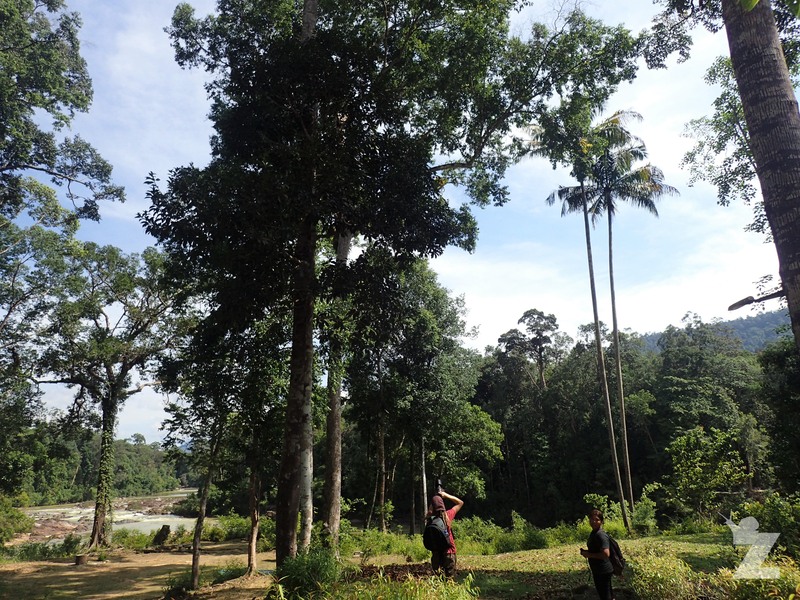 This time, we chose the jungle of Endau-Rompin National Park, Malaysia. As we tend to live on a bit of a shoe-string budget (!!! ), we first looked up what the cheapest flight options were from New Zealand to the UK. It turned out that flying into Singapore and out of Malaysia was the way to go. 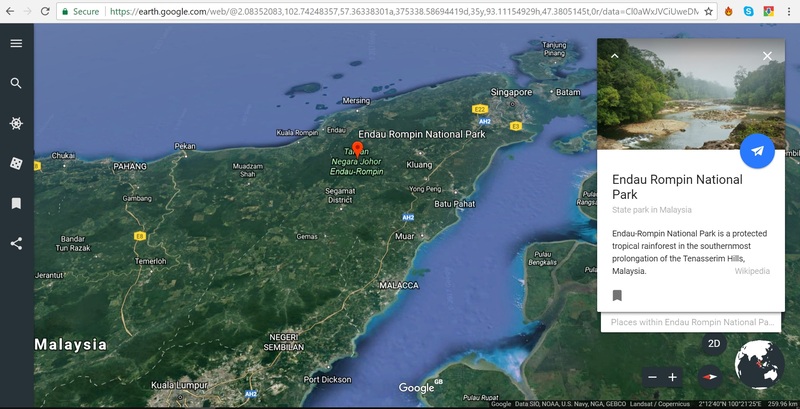 Tom then consulted Google Maps to see see if there were any national parks in between and, lo-and-behold, there was Endau-Rompin. The only way into the park is by 4WD, and there is no public transport that goes there. After some further Googling, surprisingly the cheapest option was to book a trip with a local guide which included transport, accommodation, food, and activities. We don’t often go for package-trips, but this definitely turned out to be worth it. We contacted Lam who is a licensed nature guide, and he sent through a suggested itinerary. You can view the full itinerary in the ‘References & Further Reading’ section at the end of this blog. As it was a private tour, we were able to tailor each activity to our interests, which is (as I’m sure you’ve already guessed…) searching for wildlife! We hopped off our flight in Singapore and spent the evening enjoying a few of the Singaporean sites. The next morning, we caught a bus to Kluang, Malaysia, where our pick-up point for the trip was located. The bus ride was a few hours, and included a stop-off to walk through Immigration and Customs before we crossed the bridge into Malaysia. Lam met us at the Kluang Bus Terminal where he picked us up in his Pajero. And, after a quick stop in the National Park office to pay our money and see some information, we were off through the oil-palm plantations to the jungle. The accommodation is located in the jungle. There is a gathering of buildings: the kitchen, a covered dining area, dorms, chalets, research and education areas. All the electricity is run on a generator which operates between 7pm and 7am. So, you have light when it gets dark, and an opportunity to charge cameras etc. Tom and I stayed in one of the chalets – a little different than camping! It looked out over a large pond (plenty of wildlife-spotting to be had), and had bedroom (linen-provided) with a fan, a jug to boil drinking water, a cold shower, and flushing toilet. It was lovely! Food was prepared and cooked for us. We ate in a covered dining area a few minutes walk from our chalet. The food was great. We know how the Internet likes food-pictures, so we’ve even included a few below. The dining area also served as a perfect light-trap at night, so we spent most of the time when we were supposed to be eating chasing invertebrates, geckos and bats! 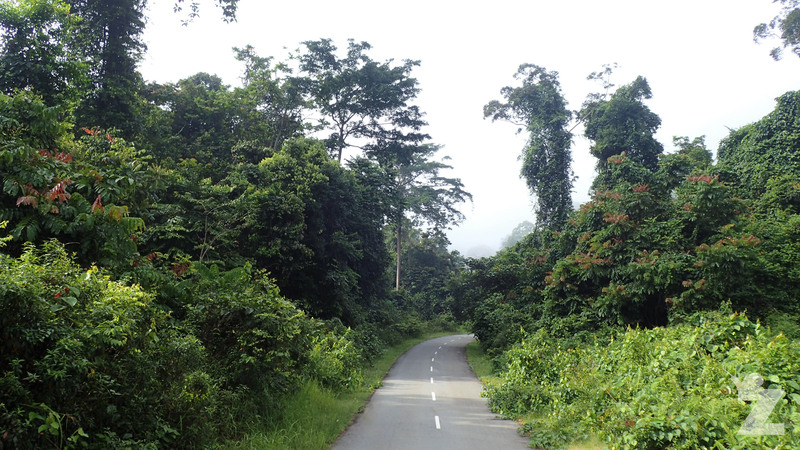 Endau-Rompin Peta is one of the very few remaining large tracts of lowland tropical rainforest in Peninsular Malaysia. It covers a total of 19,562 hectares, and has a core area of undisturbed natural vegetation which has existed for millions of years. Over our three days here, we were only able to explore a small portion, but it was a wonderful taste! On each adventure, we were guided by Lam, a biology graduate and Malaysian local. We were also joined by Shima, a young woman from the indigenous tribe whose people live in the national park. Both Lam and Shima were extremely knowledgeable on the area, and habits and whereabouts of the native flora and fauna. We tubed along the Endau River, seeing the wildlife going about their daily business whilst surrounded by stunning landscapes. We hiked along jungle tracks that we accessed by boat. Shima and her sister guiding us along the jungle tracks. They were brilliant wildlife spotters! 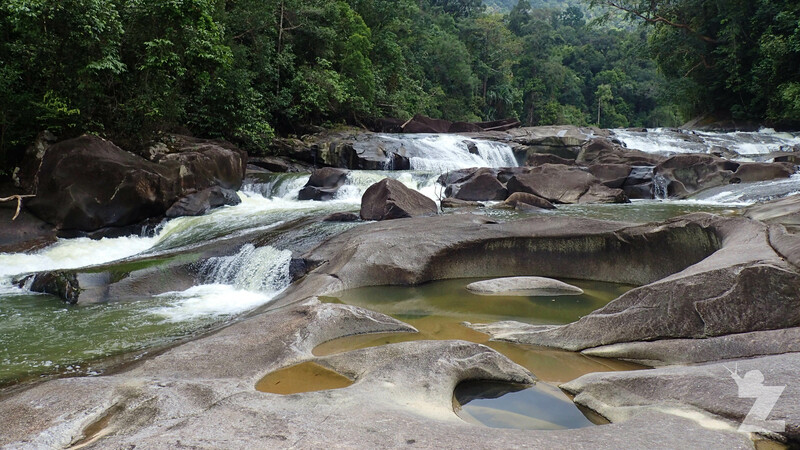 We saw the rock formations of Upeh Guling waterfall that were carved out by nature over hundreds of thousands of years. We swam in Tasik Air Biru AKA the Blue Lagoon, and had a fish photobomb our photos! The photo-bombing fish strikes again! The heavens then opened, the thunder clapped and roared like nothing Tom and I have heard before, and we all raced along the jungle paths back to shelter. We went on a night walk through the jungle in search of wildlife. The next evening, we also went on a night safari in Lam’s Pajero. The elephants roam free in the national park. Whilst we weren’t lucky enough to see any during our trip, we did see where they had been. A young man from the indigenous tribe who is active with elephant conservation taught us about how they estimate the age and size of the individuals by looking at their footprints and dung. One last aspect of the wildlife that we have to mention are the leeches. In certain parts of the jungle, they were everywhere! They definitely added an extra bit of excitement to our hikes. We recommend that you bring plasters. The leeches loved me, too. Do You Want to Visit Endau-Rompin National Park? If so, you can find Lam’s contact details here. We highly recommend his trip. For the 3 day / 2 night private trip, it cost us RM980 per person, a total of RM1960 for both of us. This was inclusive of accommodation, food, activities and travel (from when we were picked up at Kluang Bus Terminal until we were dropped back there again). This was the price for us in March, 2017. You will have to check with Lam to see if these prices are still the same. Both mine and Tom’s final thoughts on the drive back out of the jungle was the contrast: The contrast of the diverse, rich, undisturbed tropical rainforest to the hundreds of miles of oil-palm monoculture. 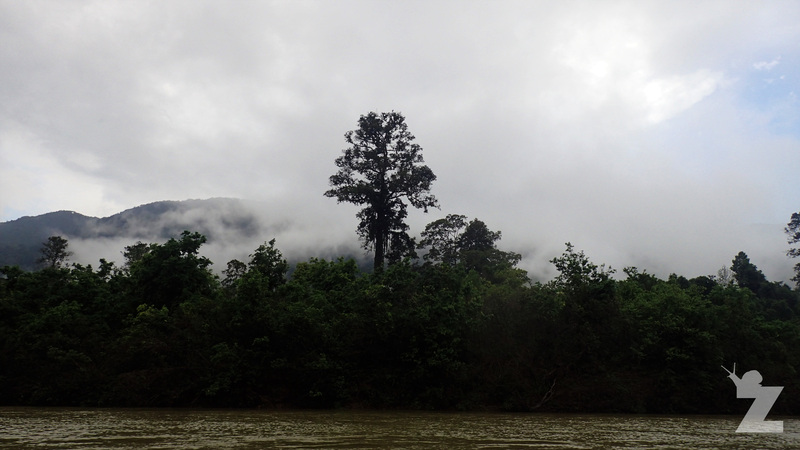 …Perhaps with options like ecotourism, like we had just experienced. We know that there are many factors and variables involved, and that the problem is not a simple as we have made out, but it is definitely a move in the right direction. 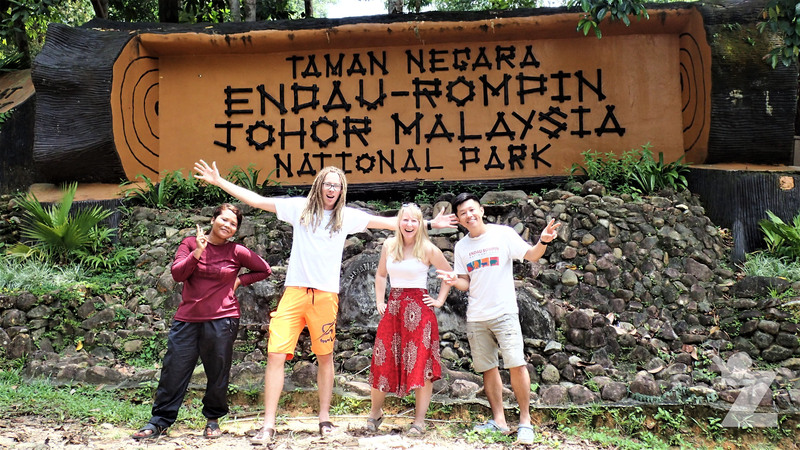 We had a great time in the jungle, and we can’t wait to visit Endau-Rompin National Park again in the future. Shima, Tom, myself, and Lam – Final group shot at the end of a fab trip! That looks like a great stop (minus the leeches) and the accommodations are rather luxurious! Wonderful photos. Amazing wildlife – I couldn’t get over all the bright colours! Lovely! Thank you! The colours of so many jungle species really are beautiful, aren’t they?! We’re actually heading back to Malaysia (Borneo this time) on our way back to NZ in a couple of weeks. 🌿 Hopefully we will be able to get some more shots. We’re pretty excited! I wish you all the best and look forward to reading your posts once you’re in a position to publish them! Hey, I’ve just found your email address and I’d like to run something by you so I’ll put together an email real soon! Great talking with you! Fab chatting with you, too! Sounds great, I shall keep an eye out for your email 🙂.